They say that any sufficiently advanced technology is indistinguishable from magic. The thought of having inert solar panels connecting to your electrical system, that somehow turn sunlight into usable energy, panels that easily outlast their 25-year warranties and never go haywire or hurt anybody, can seem a bit, well, magical. Adding to the sheer disbelief is the cloud of mystery that keeps us from understanding how our electrical system works to begin with. So how do solar panels connect to the power grid? 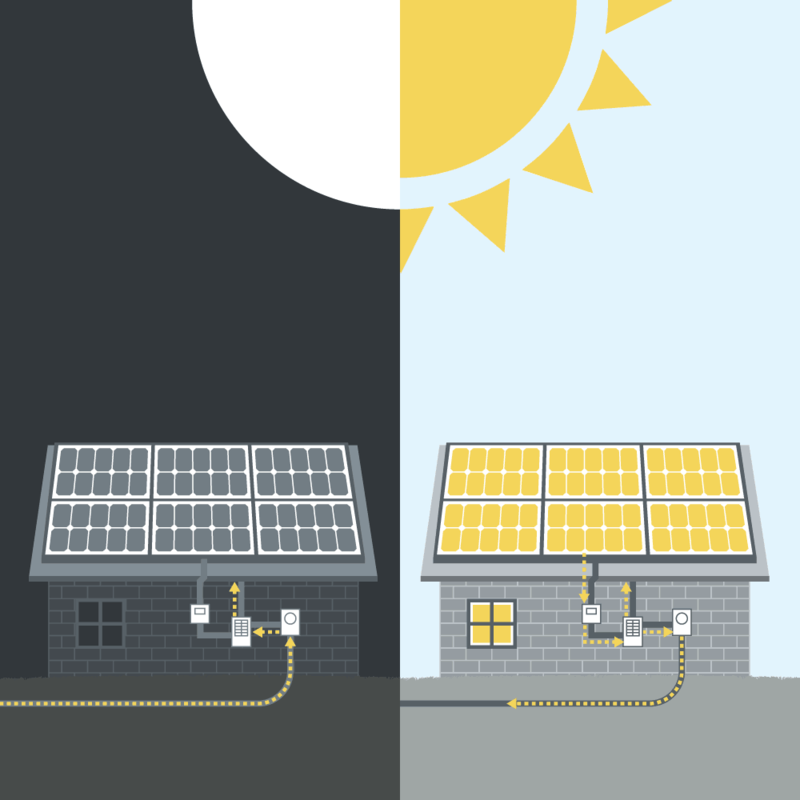 We threw together this little diagram to show you how your solar panels connect to your existing electrical system. It’s actually quite simple; basically, every house has its own electric meter (a device that measures how much juice flows in from the utility into your home, so you can make piña coladas in an electric blender or whatever), and breaker box (the part where a bunch of circuits pass through safety switches to the various parts of the house). We add on a bunch of solar panels and an inverter, and suddenly you’re making your own energy every second the sun is shining. Without even thinking about it! Download this nifty sheet and watch the wonderful world of solar open up before your very eyes! There’s no sun at night, so your photovoltaic system isn’t producing any electricity. But you’re almost certainly using some. So you’ll pull it from the power grid, and your meter will indicate how much you pay your utility. 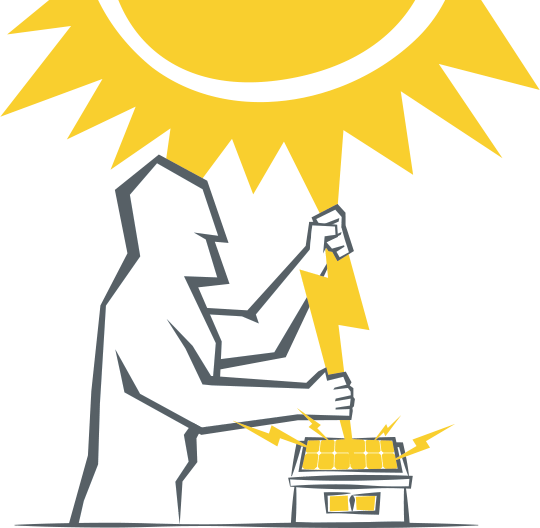 When the sun is up, your solar panels will start pushing electrons aggressively. But if you’ve gone to work, you probably aren’t using them all. Extra energy will flow through the meter, back out to the power grid, where other people will use it. As you feed the grid, your meter will actually spin backward, reducing your bill.